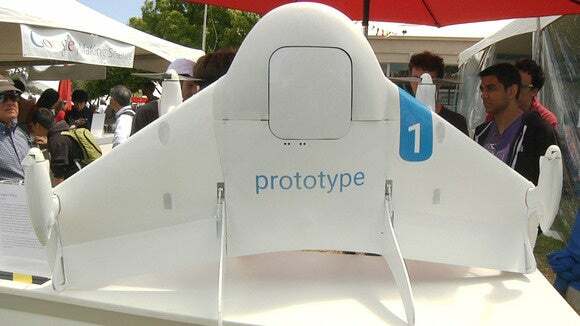 Google is hoping to start commercial package delivery by drone in 2017, the head of its drone project said Monday. Dave Vos, who leads Project Wing at Google X, was speaking at conference in Washington, D.C., Reuters reported. His comments came a day before he is due to co-chair a key working group meeting on consumer drone regulation on Tuesday. Google has been working on drone delivery efforts for at least a year and disclosed the project in August 2014 when it released a video showing prototype efforts in Australia. Since then, Google hasn't said much about the project but some of its latest research was disclosed last month when a Silicon Valley venture capitalist uploaded video to Twitter of a demonstration of a new model of Google drone. Google is facing potential competition from Amazon and Wal-Mart, both of which have said they're working on similar technology. Before any of these services begin, regulations need to be formulated that will allow the services to take flight. At present, commercial drones are restricted by the Federal Aviation Administration to remaining in line of sight of their operators. That will need to change for delivery to be viable. Vos, speaking earlier this year, said he's in favor of a computerized air traffic management system for drones that will approve flights and keep craft from crashing into each other. The FAA is also moving to tighten restrictions on consumer drones and could soon require registration and identification of small quadcopters and the like. A three-day meeting to hammer out proposed regulations will begin tomorrow and Vos will co-chair the gathering. The meeting includes 25 companies and organizations involved in the drone industry and the FAA and U.S. Department of Transport.